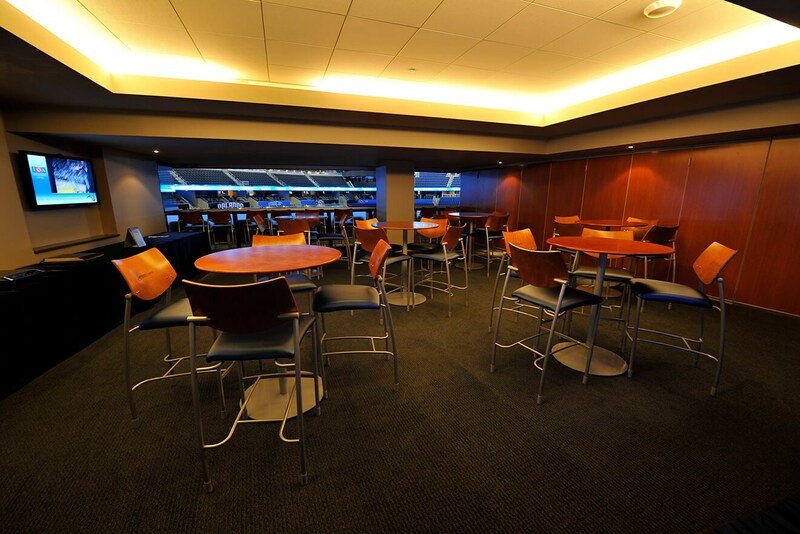 Whether you're hosting colleagues and clients or family and friends, we have the perfect space for you. 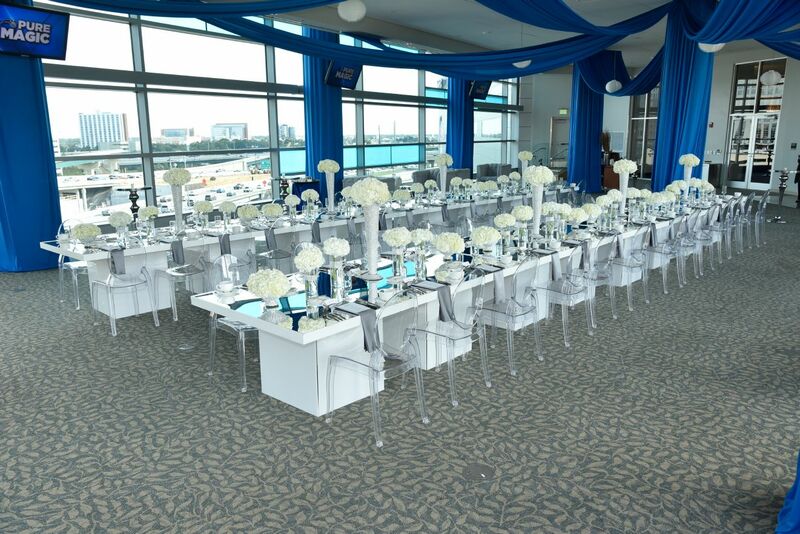 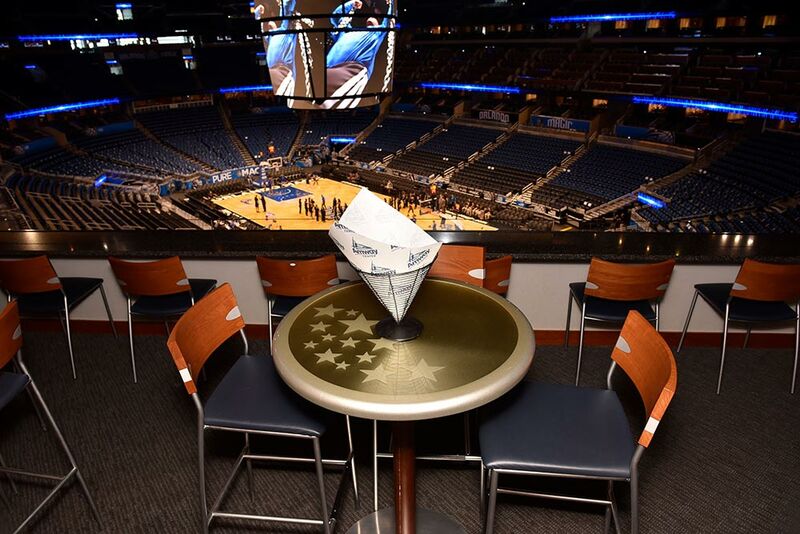 Luxurious hospitality suites offer unique settings with great views of the court. 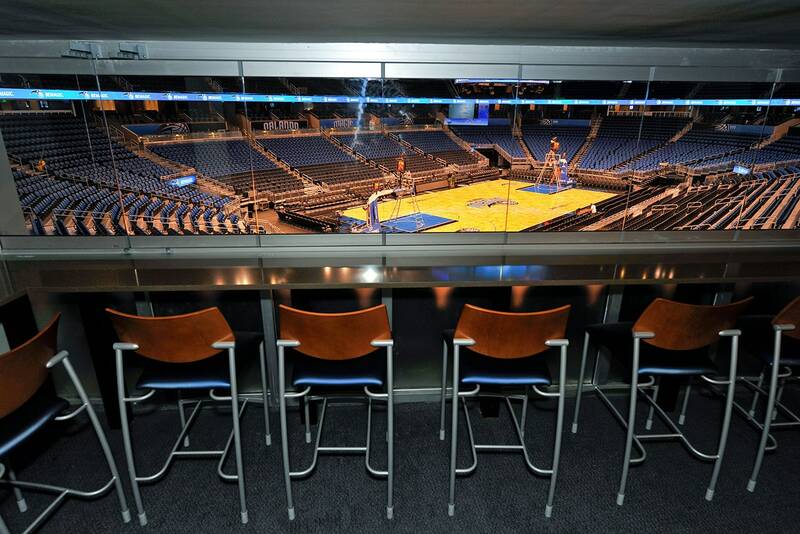 A private suite to entertain your guests in style, with great sightlines only 19 rows from the floor. 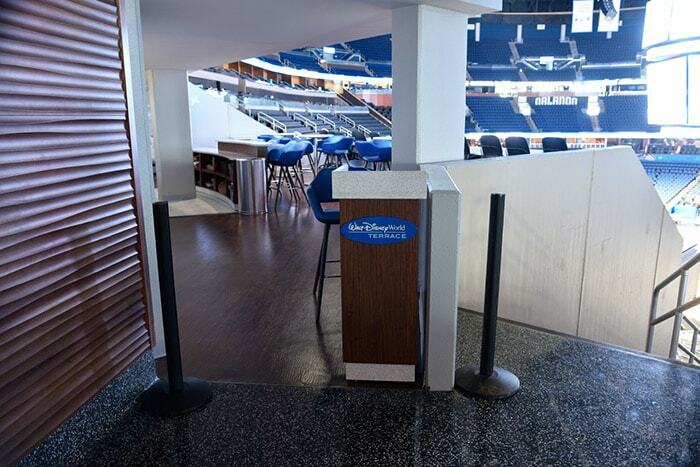 Founders Suites are accessed via private VIP elevators to an exclusive suite holders' concourse. 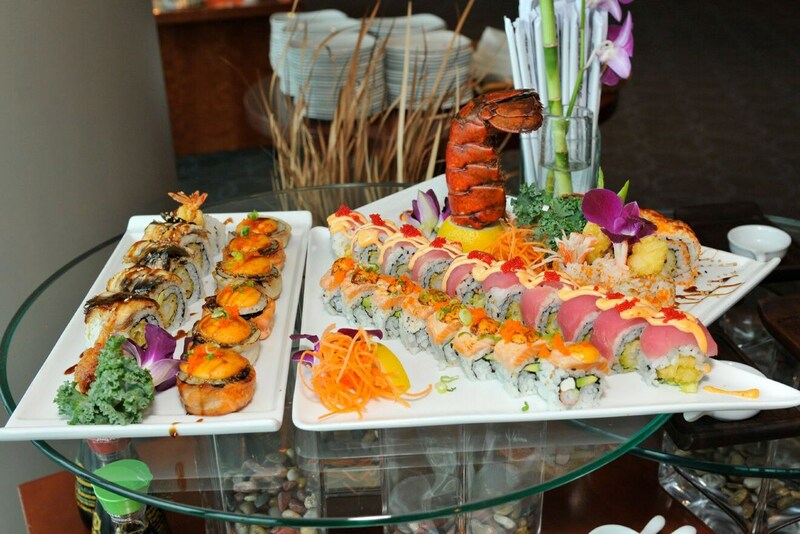 It's the ultimate in luxury! 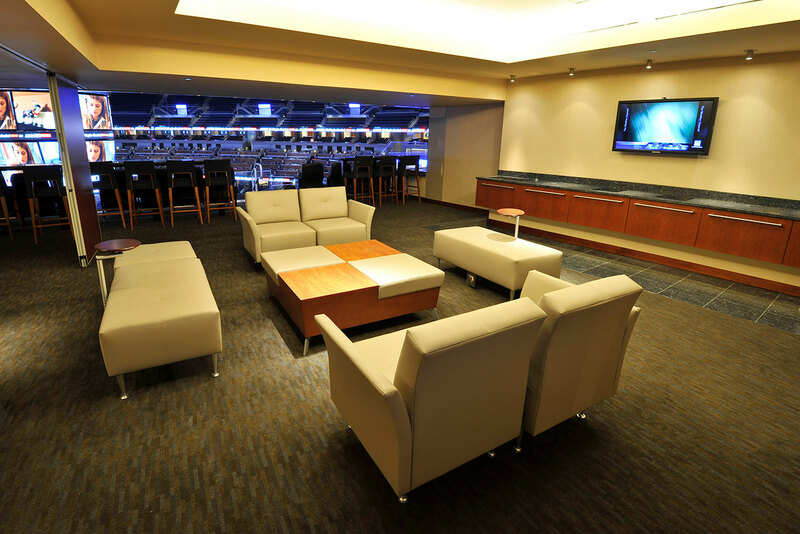 Entertain your guests in style in a private suite on the exclusive Club Level. 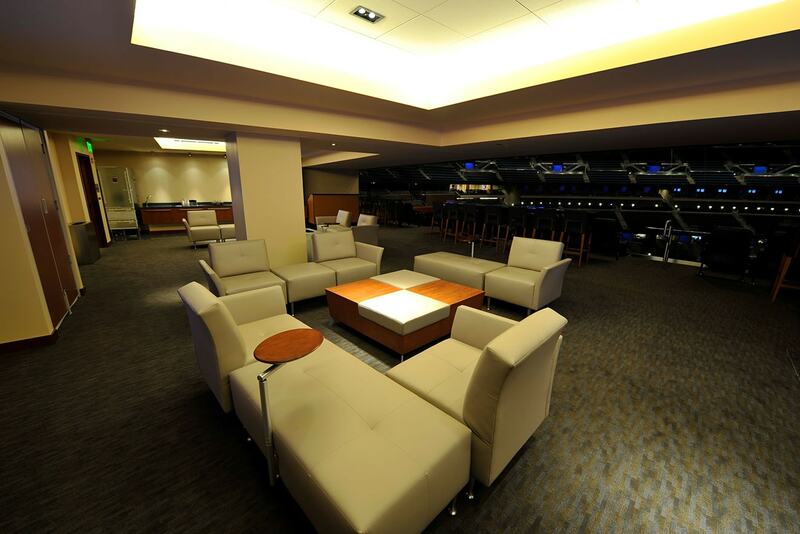 Mingle in the suite and relax in leather balcony seats to watch the game. 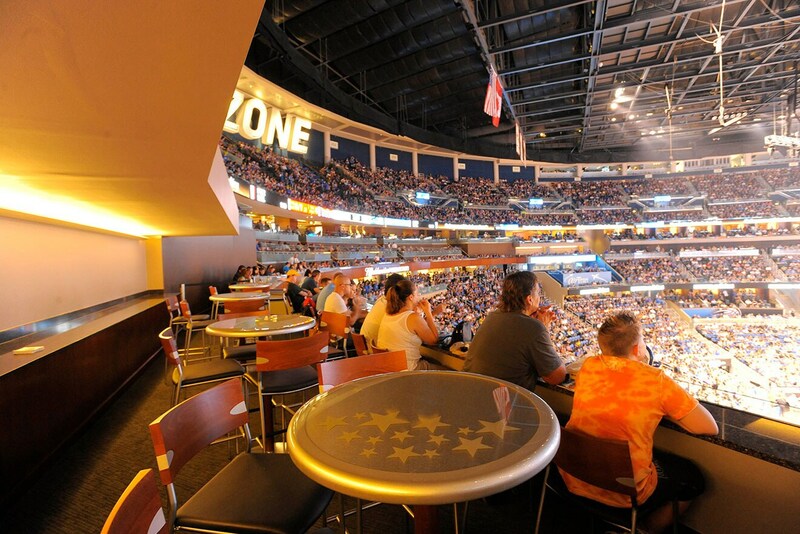 Enjoy the thrill of the game from this open-air suite. 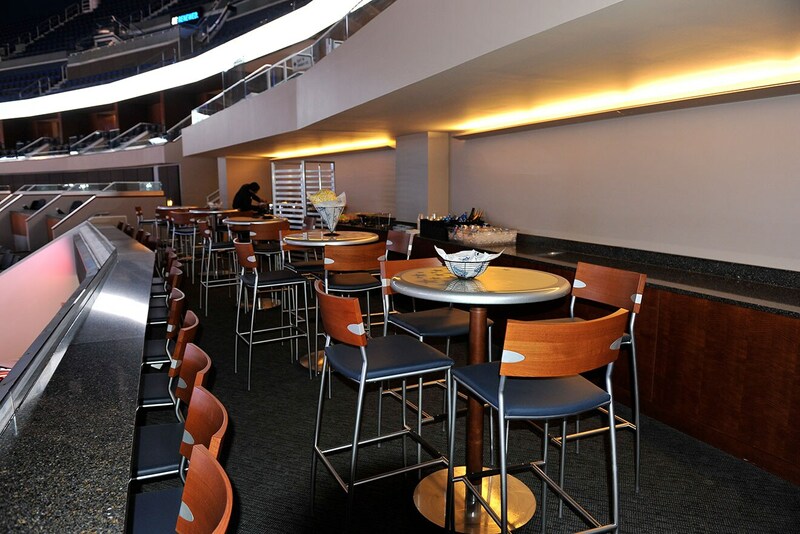 High-top tables and ledge seating provide an awesome vantage point to take in the action. 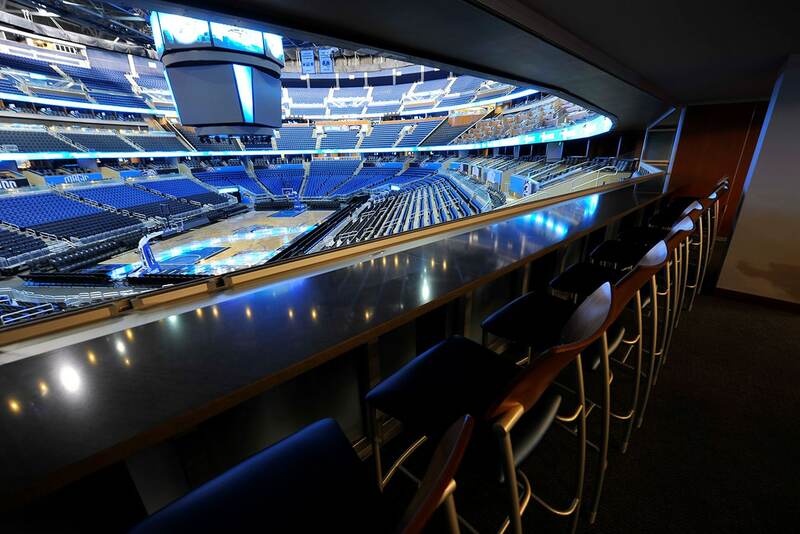 One of the most unique spaces in Amway Center, this two-tiered deck includes a private bar at the top with room to mingle and tables for convenience. 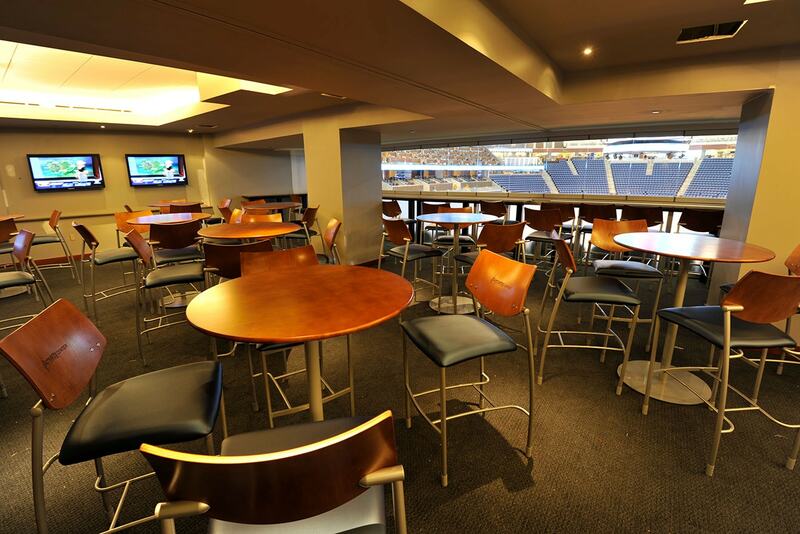 The lower tier features a row of seating with some of the best views in the house. 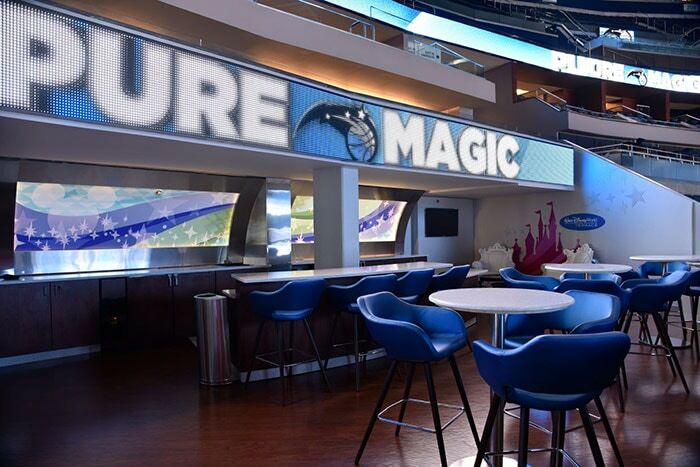 Enjoy a private setting with your guests in our Club Hospitality Suites, one of which was renovated by DIY Network's Man Caves. 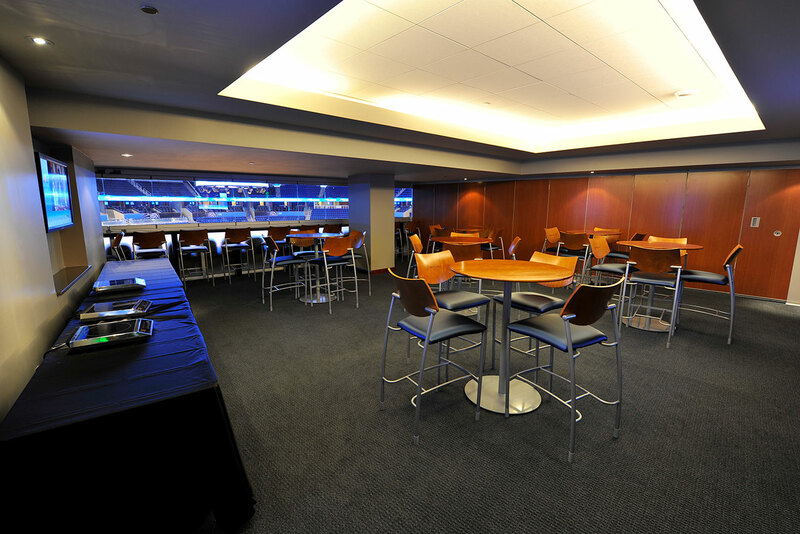 Be sure to book early if you are interested in one of these suites, they fill up fast! 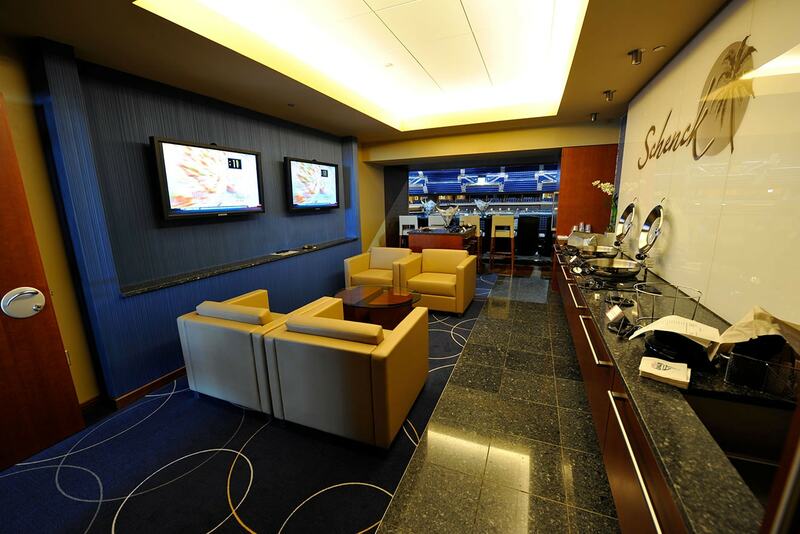 Located on the exclusive Founders Level, these are the closest suites to the action. 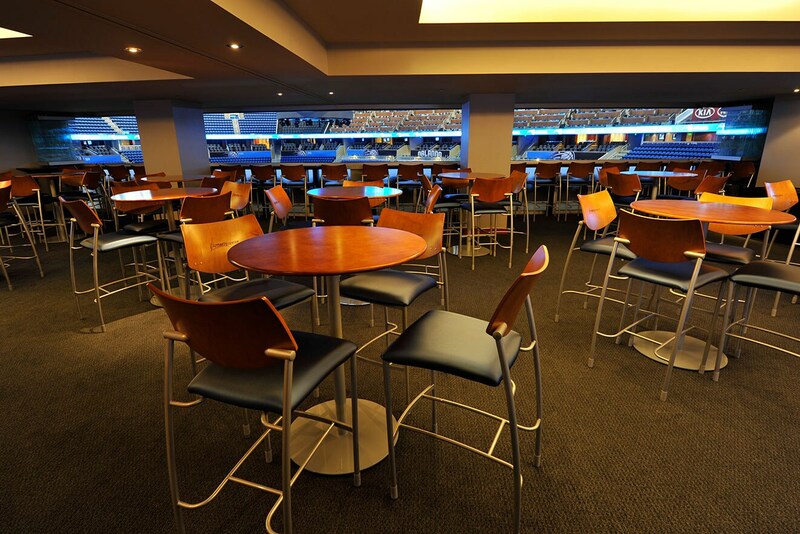 High-top tables, ledge seating and large TVs make this perfect for groups that want to mingle. 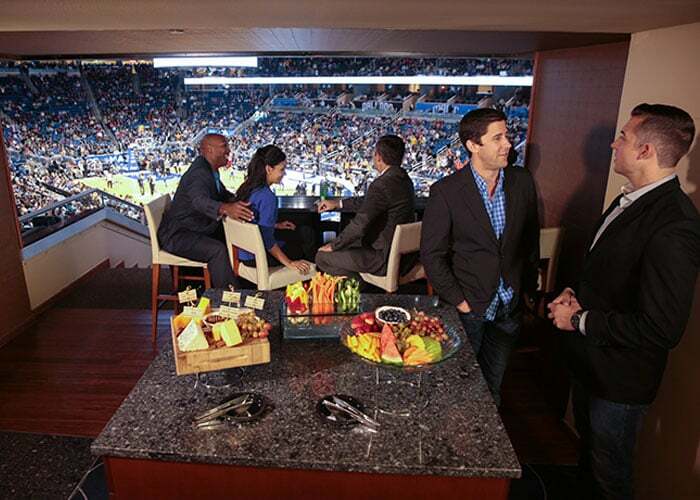 A slide-away wall allows larger groups of 30-60 people to book two adjoining suites for more space. 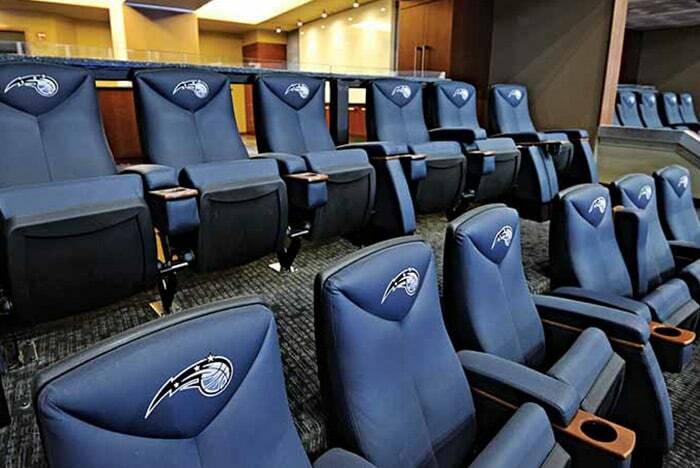 Excitement and relaxation meet here, with two rows of leather seats right in the bowl and a comfortable lounge. 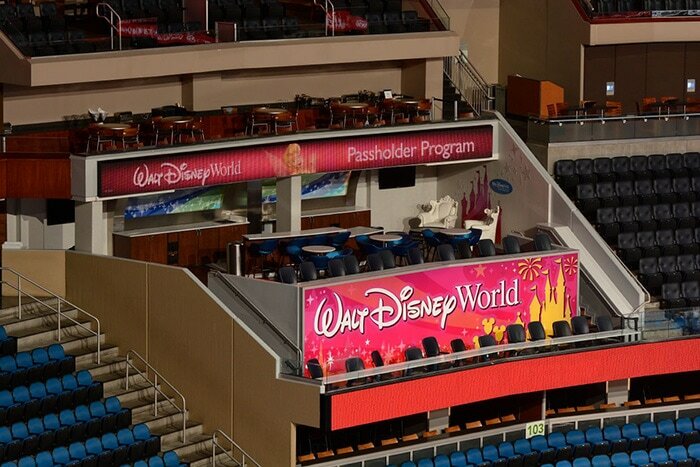 Here you get the best of both worlds. 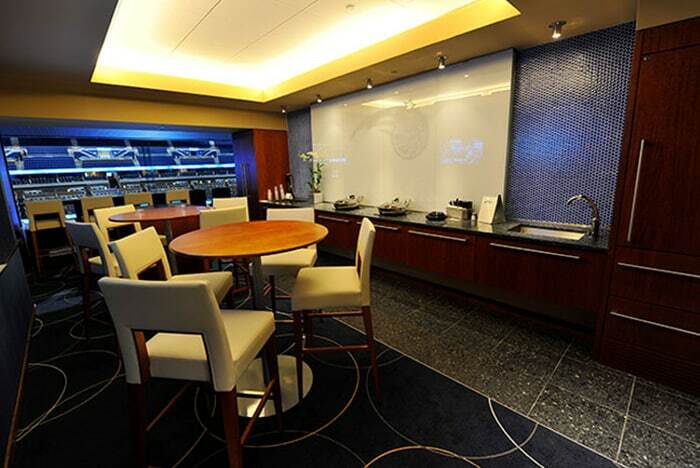 A slide-away wall also allows groups of up to 48 to book two adjoining suites. 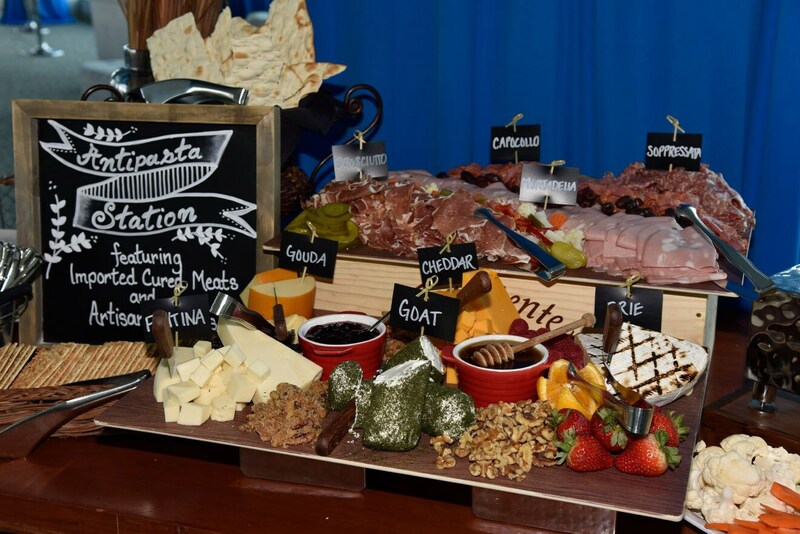 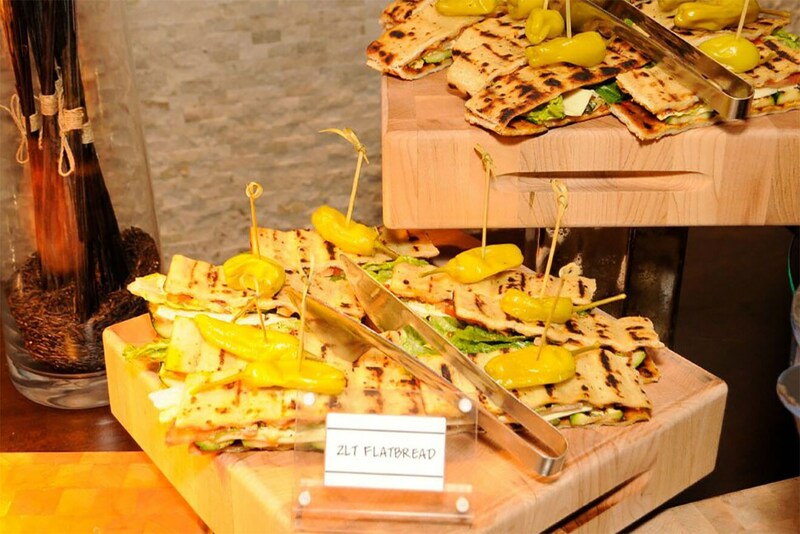 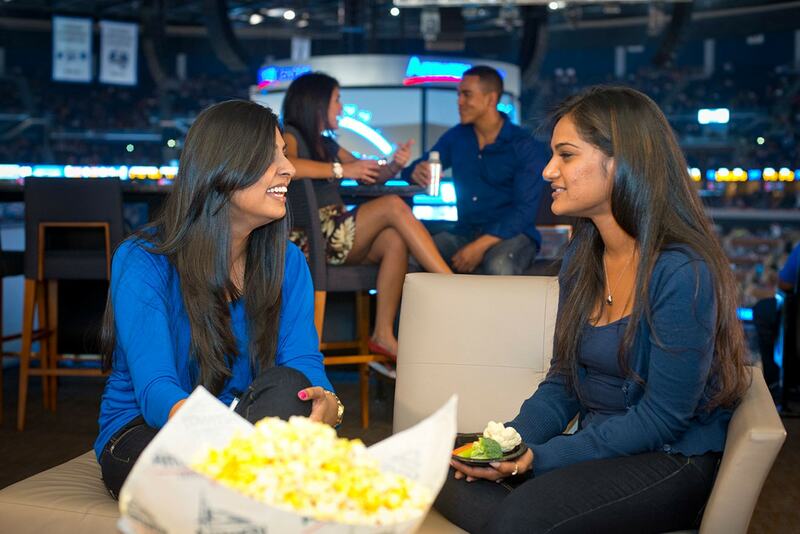 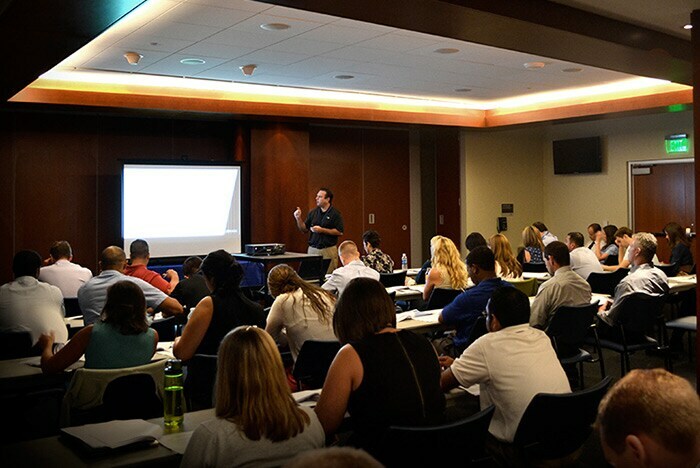 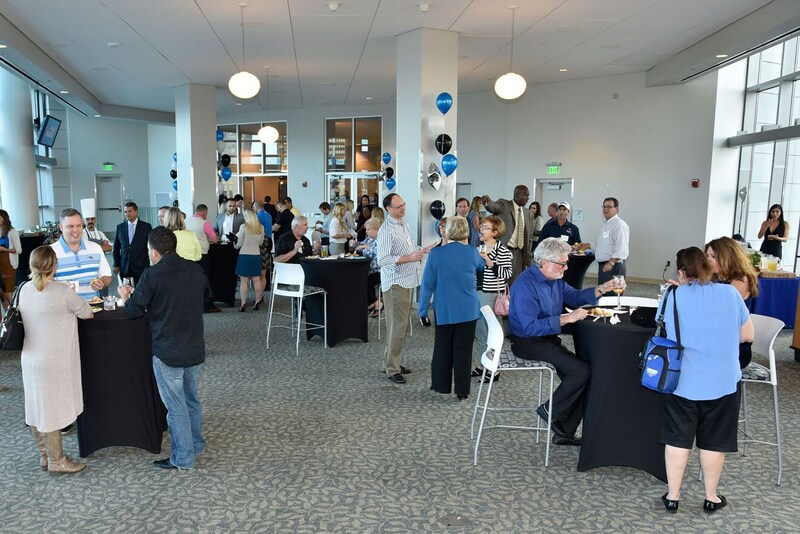 Host a pregame reception or meeting in one of Amway Center's hospitality rooms. 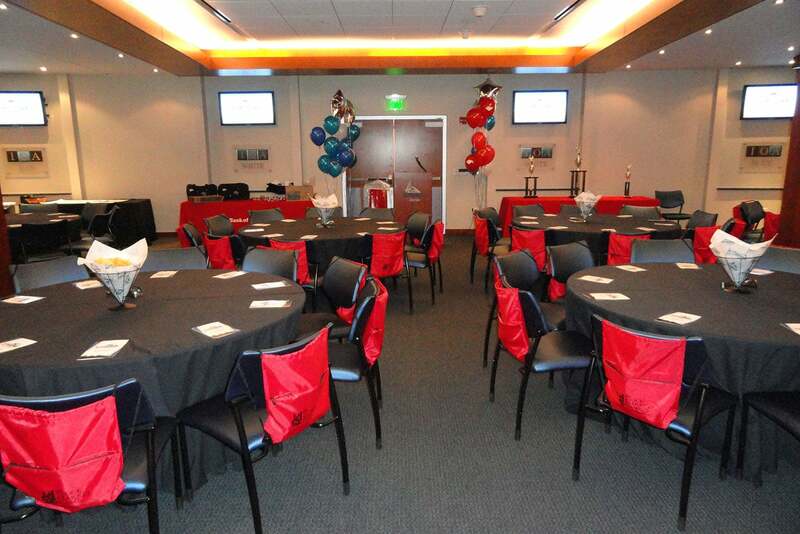 Room set-up options are available for any type of function including round tables of 10, high-top tables, classroom style or theatre style. 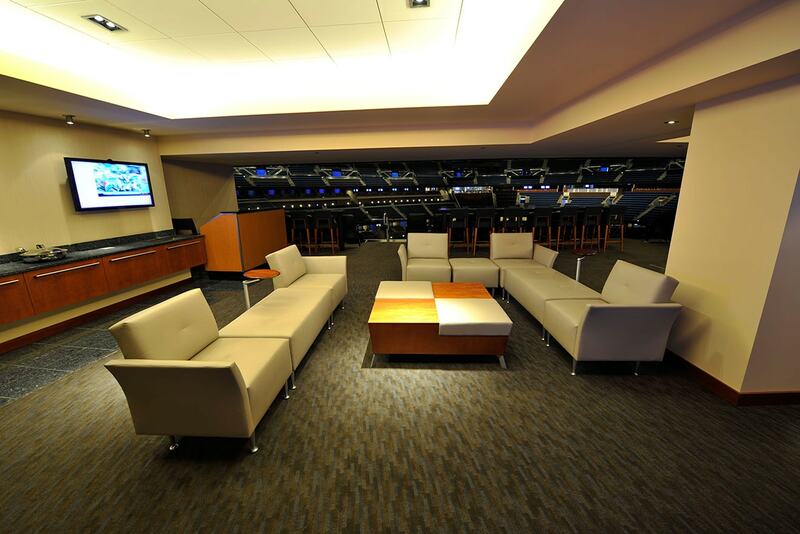 Audio-visual equipment is also available upon request. 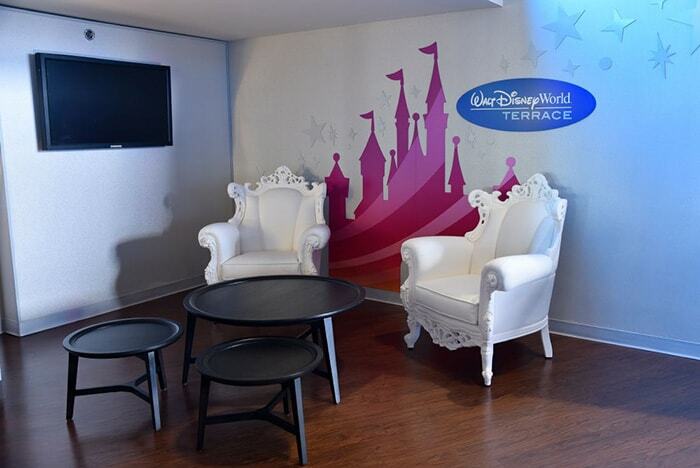 IOA Red, White & Blue Rooms hold 60 people each and provide access to the exclusive Founders Level. 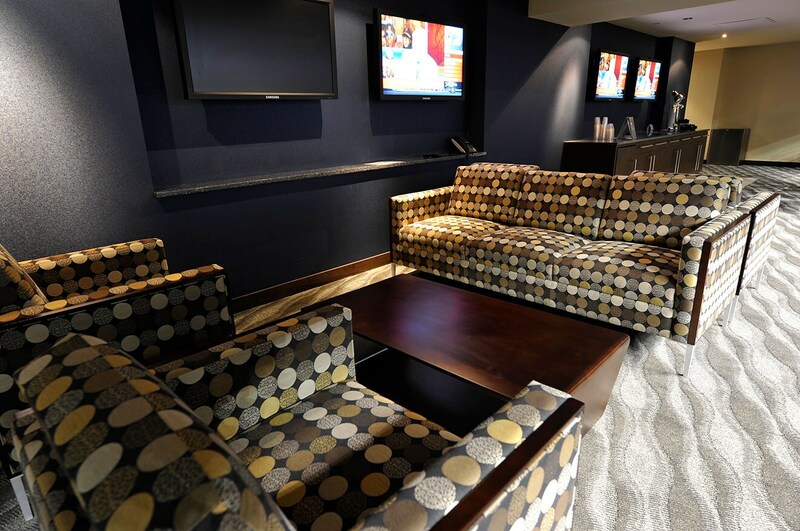 A slide-away wall allows you to book one, two or three rooms. 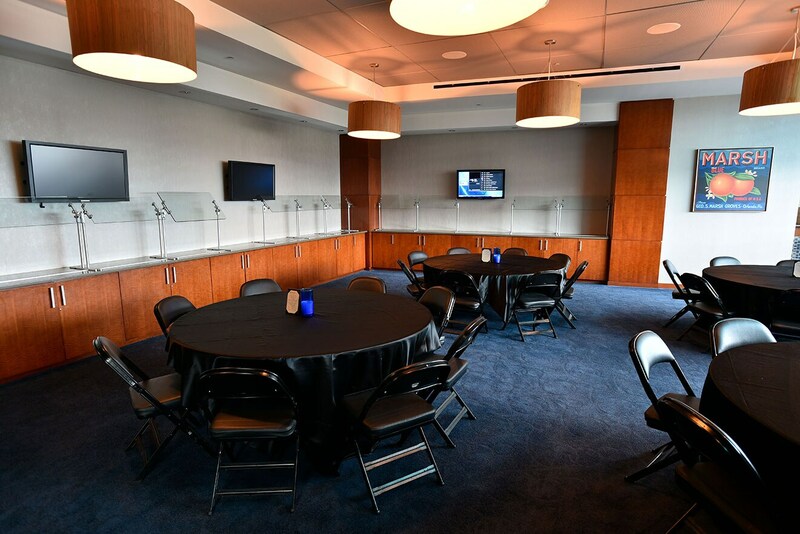 The BankUnited Vault Room on the Promenade Level is Amway Center's largest meeting room accommodating up to 250 people with magnificent views of downtown Orlando. 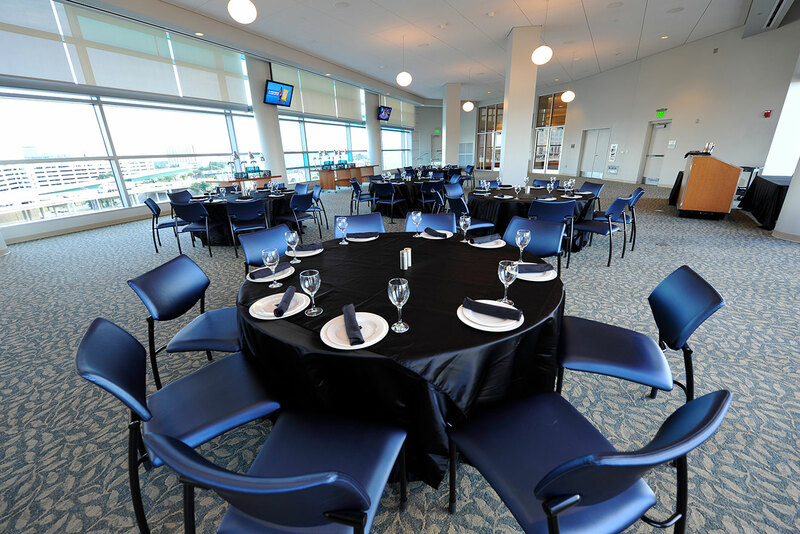 Located within the exquisite Club Level restaurant Jernigan's Banquet Room provides a private setting for your event. 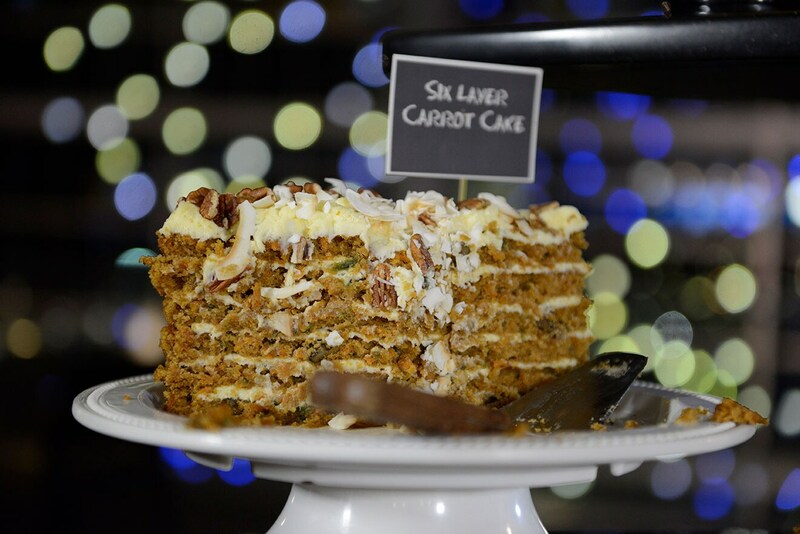 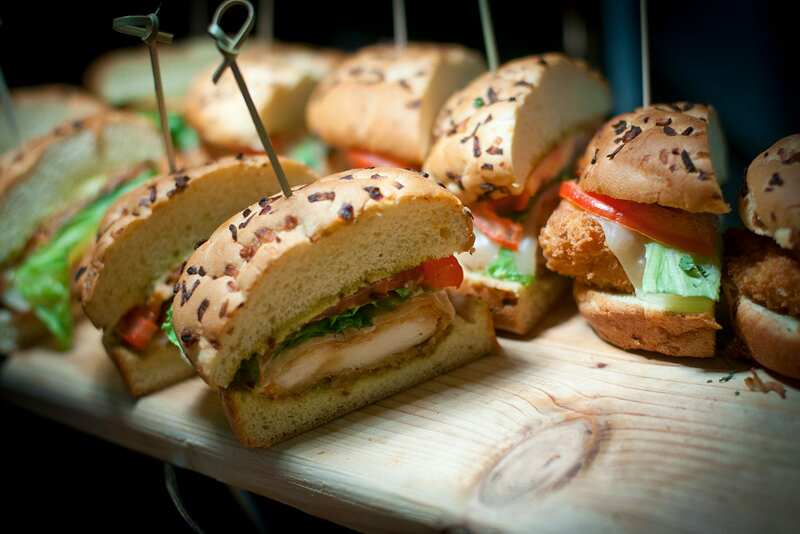 From fine-dining experiences, to good old-fashioned comfort food - we've got you covered. 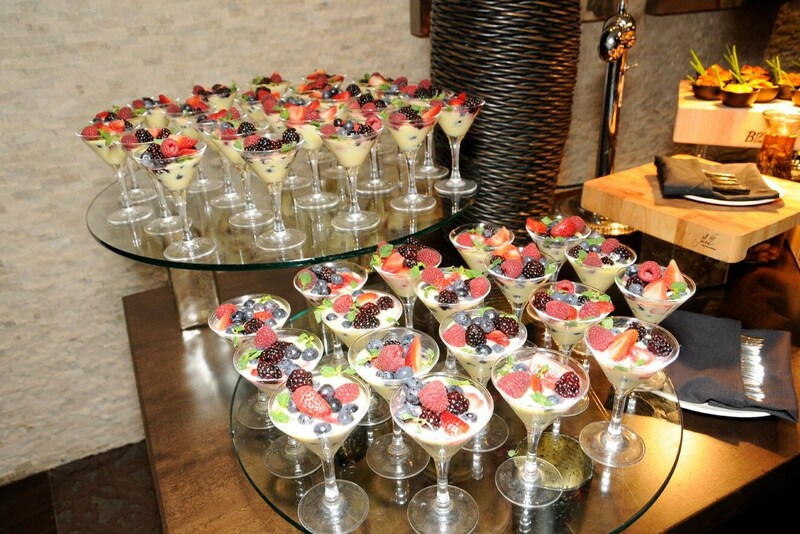 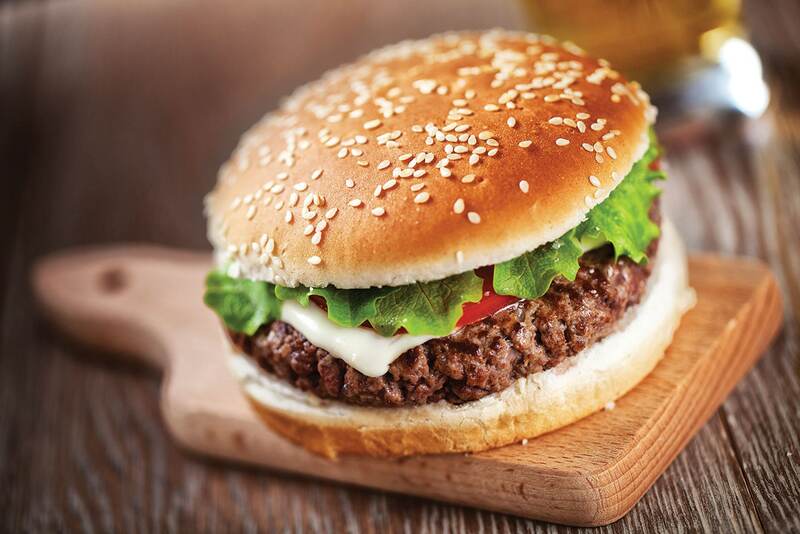 Make ordering easy with a pre-designed menu or hand select your own options from an extensive menu of delicious dishes. 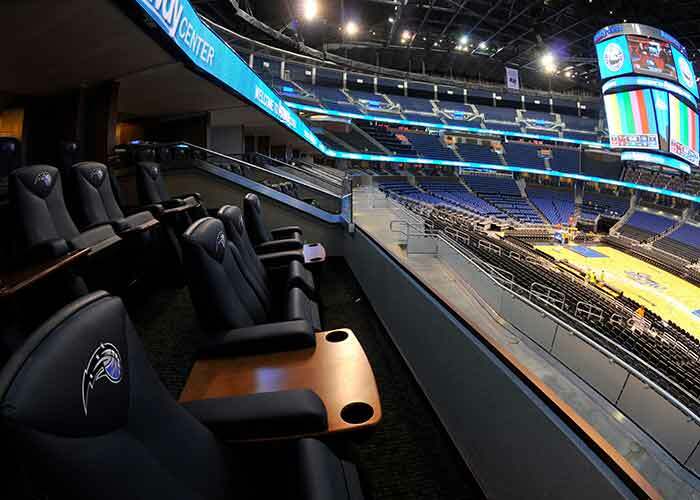 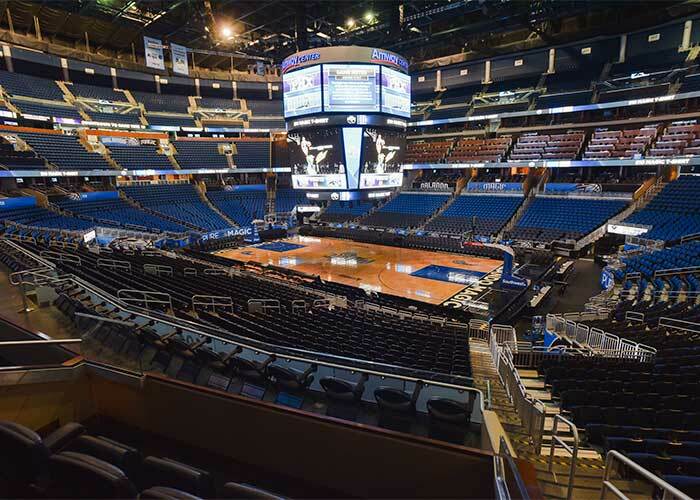 See every Magic game and all other events that take place at Amway Center while hosting clients and prospects or entertaining family and friends in style.